Suboxone: Here is Everything You Need to Know About This Drug. This medication contains buprenorphine, a relatively weak opiate, and naloxone. It is available in pill form with a prescription. Suboxone stays in your system for a total of 74 hours, which is a very long time compared to other drugs. 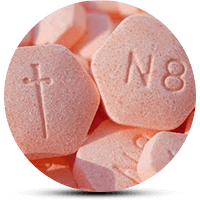 The half-life for buprenorphine, meaning the length of time it takes from the point a user ingests it until half of the dose leaves the body, is 37 hours. It takes relatively long for Suboxone to leave the system because withdrawal doesn’t start until a few days after one has stopped taking the drug. What is a drug and what is a drug addiction? Can a Person Get Addicted to Suboxone? What things should you know before taking Suboxone? What are the interactions of Suboxone with other drugs? What are the common Suboxone abuse risk factors? What are the signs and symptoms of Suboxone addiction? What are the signs and symptoms of Suboxone overdose? How to Treat Suboxone Addiction? What is a Drug and What is Drug Addiction? Frequently, we don’t suspect a friend or loved one is struggling with drug addiction, a chronic, relapsing brain syndrome characterized by compulsive seeking and using a drug despite obvious adverse consequences. Addiction can last very long and cause behavior that is harmful both to the individual abusing a given substance and their loved ones. A drug is a substance which has a physiological effect when introduced into the body, and Suboxone meets this criterion. This drug is available in tablet and sublingual film form. Both dosage forms are orange in color. The tablets are hexagonal and come in two strengths: one contains 2mg buprenorphine and 0.5mg naloxone, and the other – 8mg buprenorphine and 2mg naloxone. The sublingual films are also available in two strengths, in the same concentrations as the tablets. This medication can be taken in two ways. First, by keeping the film under the tongue (sublingual administration), another by sticking it to the inside of the cheek. Never chew or swallow the film, and always use the entire film at once. Induction Therapy for Addiction: This is one of the drug addiction treatment methods aimed at rapid detox of the drug from the body. Consequently, medical detox uses Suboxone to reduce withdrawal symptoms safely. For Methadone Addiction: The role of Suboxone in treating addicts of Methadone or other long-acting opioids hasn’t been extensively studied. Therefore, doctors do not recommend its use in such cases. Instead, Buprenorphine alone is the choice of treatment. A doctor may prescribe Suboxone after completing induction therapy. For Heroin Addiction: Heroin or other short-acting opioids addicts should begin treatment not later than 6 hours after the last dose or when the withdrawal symptoms become noticeable. Maintenance Therapy for Addiction: The doctor may use it as a part of maintenance therapy. This can happen once induction therapy is over and the patient has been stabilized. Suboxone aims to reduce drug cravings and prevent withdrawal symptoms from coming back. This drug acts in a dual manner – to avoid cravings and opioid withdrawal. Therefore, the basic idea behind combining the two oppositely acting medications in a single formulation is to maintain a constant supply of the weaker opioid drug, buprenorphine, to trick the brain. This helps to reduce cravings and withdrawal symptoms. On the other hand, Naloxone limits the effects of opioids and is thus prescribed to prevent or even reverse a number of opioid-induced symptoms, such as drowsiness, respiratory depression, and loss of consciousness. Yes, Suboxone is addictive. Since it contains an opioid, albeit a weaker one, it has the potential of causing dependence. However, the potential is comparatively lower than that of other, more powerful opioids. It can cause feelings of euphoria and relaxation, so a person faces a risk when they get “high on Suboxone”. In this case, the brain starts enjoying the high, and one needs increasingly higher doses at regular intervals to achieve the same effect. If the doses aren’t reduced early on, the abuse may turn into full-fledged addiction. Suboxone’s addictive properties are owed to buprenorphine, its other active component. Notwithstanding the addiction potential, the benefits often outweigh the potential risks of severe addiction as it helps recovering addicts stop using far more harmful drugs. Daily administration of the medication while living in a residential treatment facility. In such a facility, Suboxone and other drugs should be kept under lock and key so patients do not attain unwarranted access to them. Distribution to patients of an outpatient center. Hospitals, drugstores, and rehab facilities distribute daily doses of Suboxone to individuals who need it to make sure they don’t receive more (or less) of the drug than they need. If Suboxone has been prescribed to a minor, a family member may be entrusted with monitoring the drug supply and providing the needed doses in some cases. It is of utmost importance that one be honest with their healthcare provider if he or she suggests treatment with Suboxone. To make sure that this drug is safe for the patient and to help avoid any unexpected or unwanted side effects, which are typical of a wide variety of pain medication, the prescribing physician should always know about any other medications being taken, co-occurring issues such as comorbid disorders, especially such affecting the respiratory system, head injuries, liver and kidney, and any history of addiction. The doctor needs to know the whole situation to treat his or her patient in the best way possible. There can be harmful interactions if Suboxone is taken with other medication. This can be the cause of a condition called serotonin syndrome, which is very serious. It basically means the brain is receiving more serotonin than is healthy, which can lead to an overdose. Sometimes patients don’t tell their doctors about a certain medication they are taking, because it may seem irrelevant. 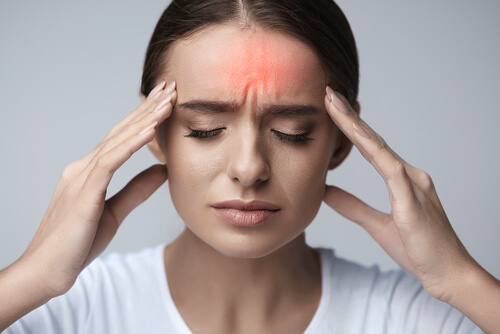 A patient must remember to tell their doctor if they are taking medication for migraines, serious infections, against nausea or vomiting, Parkinson’s disease, or depression. Be sure to ask for medical clearance before the amount and dosage of any of the medication being taken are changed. The dose can make the difference even if the treating physician is aware that Suboxone is being taken. Pregnant or nursing women need to be cautious because buprenorphine and naloxone (the two key ingredients in Suboxone) can pass into breast milk. If a breastfeeding mother is taking Suboxone, her child may start suffering from breathing problems or drowsiness. Children born to mothers who used Suboxone may become physically dependent on it. Alleviating the newborn’s Suboxone withdrawal symptoms can take weeks. Suboxone can be dangerous when taken in combination with sleep medication such as sleeping pills, muscle relaxers, sedatives, tranquilizers, or any antipsychotic medicine, prescription cough medication or opioid pain medicine, and medication that affects the serotonin levels in the brain (serotonin syndrome). Suboxone can be detected through urine, blood, hair, and other drug screening tests. The half-life of buprenorphine in the bloodstream may be 24-42 hours (37 on average), but it is just 2-12 hours for naloxone. Typically, buprenorphine will stay in the urine for three days. Studies show that buprenorphine and norbuprenorphine – the major metabolite of the former – were both present in hair samples from patients who were using Suboxone as part of heroin addiction treatment, with an average concentration ratio of 0.5. An estimated 1.9 million people in the U.S. are addicted to prescription opioid drugs. Both Methadone and Suboxone are used to treat opiate addiction and aimed at helping one stop abusing heroin and strong prescription opioids like OxyContin, among others, and returning to a more normal and productive life. Methadone has a long history of treating opioid addiction – it was first prescribed as early as 1937 in Germany. It has been used to treat heroin addiction in the U.S. since the 1960s. Suboxone, on the other hand, is a much newer drug, having only been approved by the FDA in 2002 to help treat opioid addiction. The main difference between the two is that the latter is weaker and less addictive. Suboxone helps during withdrawal by minimizing or eliminating symptoms. The risk of overdosing on buprenorphine is relatively low. People who inject Suboxone find that the naloxone causes unpleasant and severe withdrawal symptoms, which discourage them from abusing it. The presence of other drugs in the system can also affect the rate, at which the body flushes Suboxone out. This can be problematic for individuals who abuse more than one substance. For instance, people who abuse opioids frequently take them with alcohol or benzodiazepines. The Journal of Drug and Alcohol Dependence reported 67 percent of French people in buprenorphine-based treatment plans had used benzodiazepines in their lifetime, and 54 percent had done so within a few weeks prior to being surveyed. It is important to keep Suboxone in a safe place out of reach of children. Never share prescriptions, especially with someone who has a history of addiction, even if you may think that this drug will help them. Misuse can lead to a Suboxone relapse, a new addiction or an overdose, and can be fatal, especially if taken by an adult without a prescription or a child. Always follow the instructions given by the doctor exactly, do not change the dosage or frequency of use without a medical consultation, and do not chew, swallow whole, or cut the tablet or film. Crushing tablets to snort them or injecting the drug into veins is discouraged. It is important to let family members and other people in one’s close circle know that one is taking Suboxone so that they can inform medical personnel in case of an emergency. It is also wise to carry a medical alert tag or ID stating that one is currently in treatment for addiction. This can help avoid any unwanted drug interactions. It can be dangerous to leave unused Suboxone laying around. Ask a pharmacist if there is a drug take-back program in the area. If not, simply flush the medication down the toilet. In addition, it is not recommended to simply stop taking Suboxone because one believes they don’t need it anymore, either because the side effects are unpleasant or one thinks they have recovered from addiction. This may result in difficult to manage withdrawal symptoms. While Suboxone is being taken, one will need to have regular blood tests to make sure their liver is coping with the drug. Though it can be very helpful in treating opioid addiction, it does come with some significant risks that every user should be aware of. Firstly, Suboxone slows down respiration, and in some cases may cause one to stop breathing. This doesn’t happen only when the drug is being abused – it can also happen while taking it as prescribed. Therefore, it is important to monitor breathing rate while taking Suboxone. Taking it in combination with alcohol or other drugs may have fatal effects. Look out for drowsiness and the slowing of breath. Never use Suboxone without medical supervision, and remember to always report any side effects. The signs and symptoms of Suboxone addiction are typically behavioral. They include a fixation on the drug, incessant efforts to obtain it; in some cases, finding and consuming the drug becomes a priority in everyday life. Other signs include lying about the frequency of use of the drug to loved ones, stealing it from friends or family, doctor-shopping or lying about the purpose of use in hopes of obtaining another prescription, and certain lifestyle changes. These include changing one’s circle of friends or not showing up at work regularly. The following symptoms usually indicate a case of overdose. If any of these are observed while using Suboxone, the person should stop taking the drug and seek emergency medical care. This drug may be helpful in combating opioid addiction, but one still needs to be mindful as they might go from one drug problem to another. This combination drug is not intended for use in pain treatment, and any case of addiction needs a complete treatment plan which consists of medications, counseling, and psychosocial support. Suboxone alone is not sufficient to treat the addiction. Its use can become habit-forming and addictive as it contains an opioid drug and leads to feelings of intense pleasure. Suboxone addiction and abuse can be treated successfully at the right rehab center. Though it is itself prescribed to treat addiction, the recovery process for addiction or abuse of Suboxone is similar to that for other addictive substances. Addiction treatment starts with medical detox, followed by comprehensive therapy.No medication is given as part of the Suboxone addiction treatment protocol as it is a replacement drug. Detox is supervised and withdrawal symptoms are monitored at the center. After this period, the recovering addict receives counseling. Individual therapy with a treatment professional can help them understand the psychological component of dependence. Additional support can be provided by fellow addicts in recovery. It is not an easy process and having someone in the same situation to talk to can make all the difference to a person who feels they aren’t strong enough to defeat their addiction. This is often the case if the person was addicted to a stronger drug like heroin before and this addiction was transferred to the replacement drug. One can start feeling weaker and weaker, both physically and emotionally, after each Suboxone relapse. This aspect is unique to Suboxone addiction and a professional therapist will take it into account. It is important not to depend only on this drug for recovery. Finding productive new ways to use one’s energy and keep busy is of paramount importance. It is important to talk to a drug rehabilitation centers professional about cravings before beginning to misuse Suboxone to prevent addiction and, if addiction is already present, to turn to a rehab to minimize withdrawal symptoms.